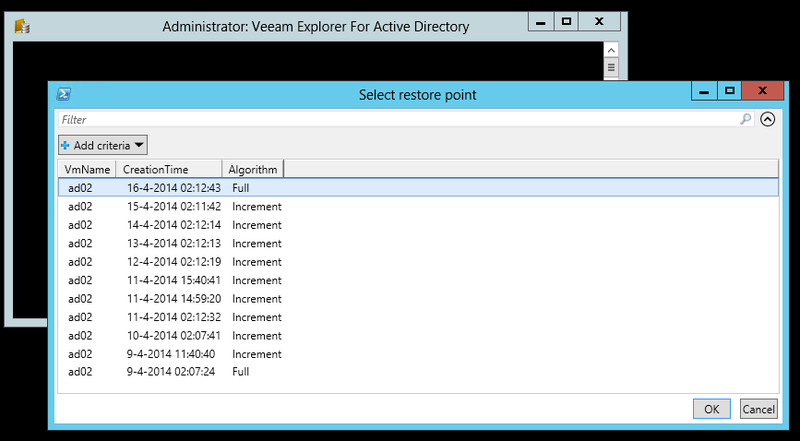 The new Veeam Explorer for Active Directory is cool stuff. I blogged about it earlier, showing how you can use it today. However it also shows that some manual steps have to be taken. Well, if you work as a sales engineer, you got to do these demo's a lot, meaning a lot of repetitive steps. 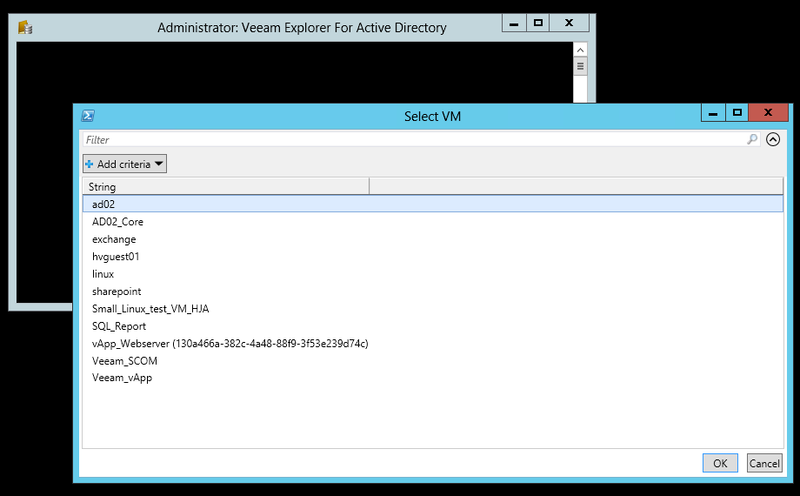 Then today, something on the Veeam forum inspired me. 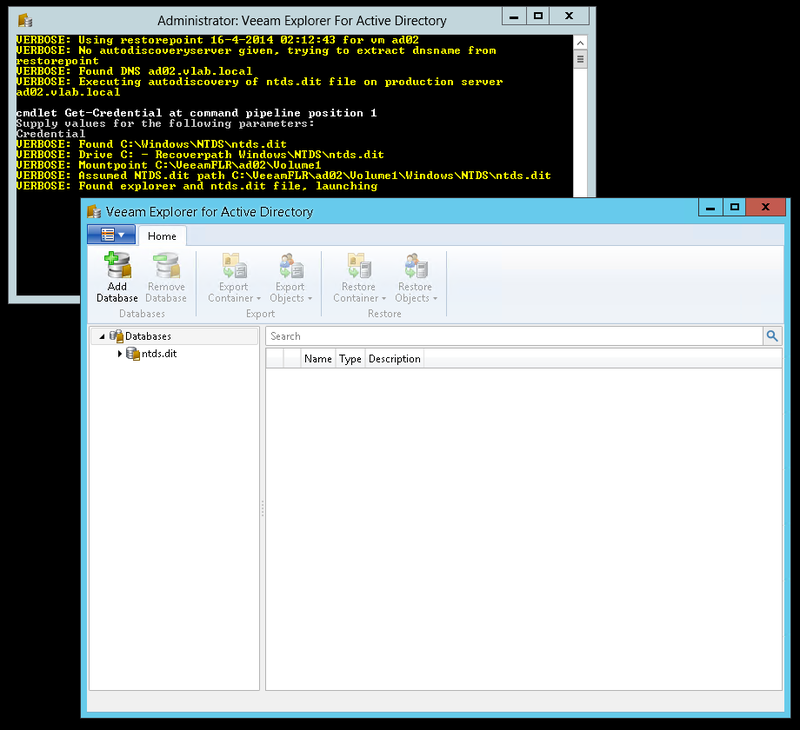 A guy was trying to start a Windows FLR via Powershell. So I decided to make a small wrapper to start the FLR and automate all those manual steps... well it sorta got "out of hands"..
You can get the wrapper script here. 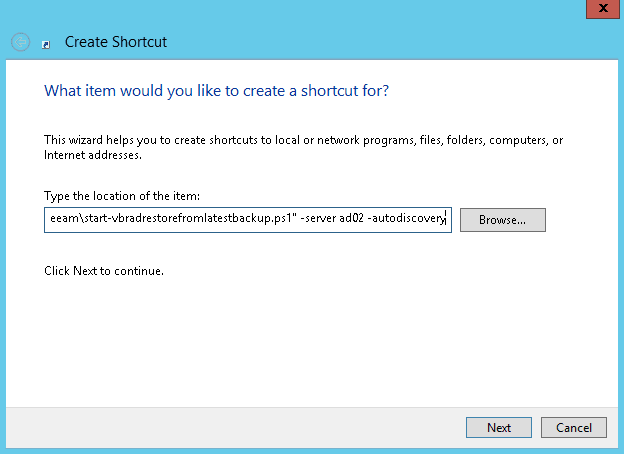 Save it on the backup server. Make sure to unblock the powershell script (go to the files properties, under the general tab, just above the ok button there should be some warning about downloaded content). 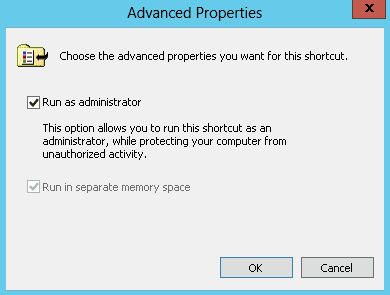 Also make sure you have the correct executionpolicy setup. You can notice in the screenshot I added some parameters. This is where things got "out of hands". 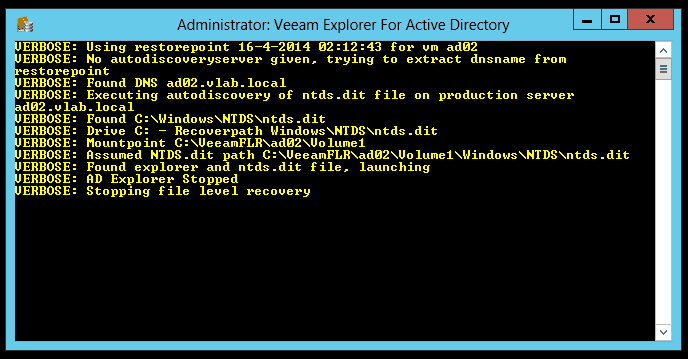 -autodiscovery : try to connect to the production server to learn where the ntds.dit file is stored. By default it is disabled and the wizard will use the default path "c:\windows\ntds\ntds.dit". I felt it was safer not to automatically connect to production. 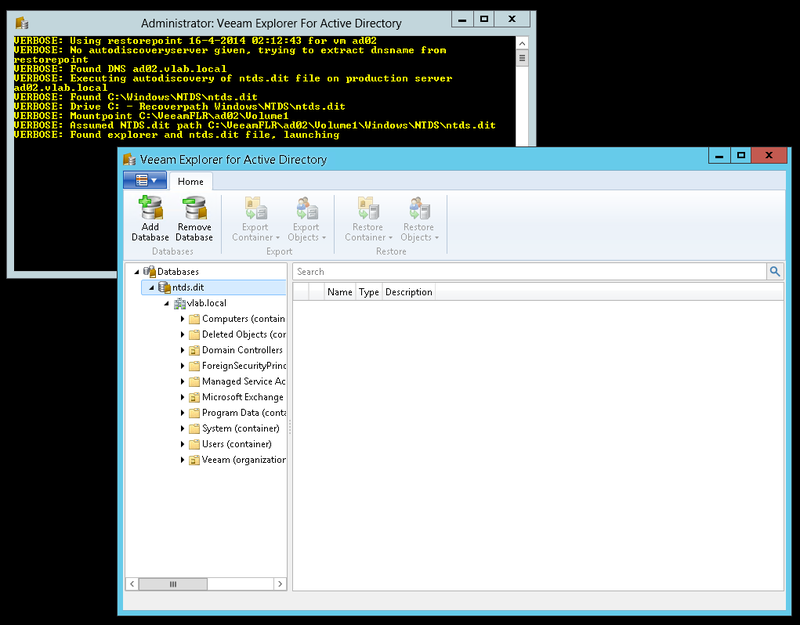 Notice that WinRM should be enabled as the script uses invoke-command to read the registry key on the production server. 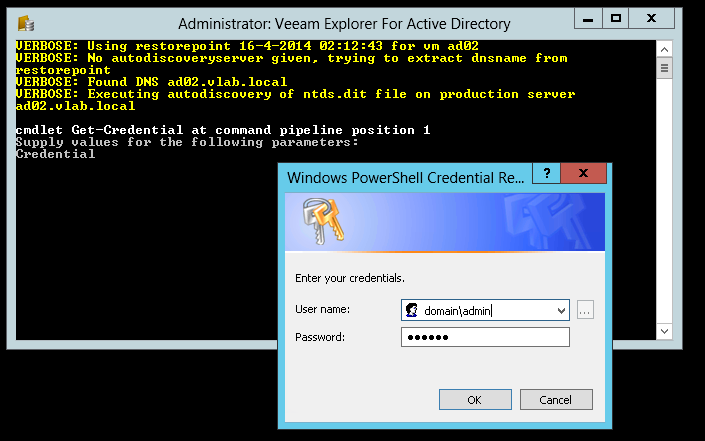 -askcredentials : ask for credentials to do the autodiscovery. If you don't specify, it will just use invoke-command with your credentials. If you want to give it a shiny icon, you can do that in the shortcut settings as well. 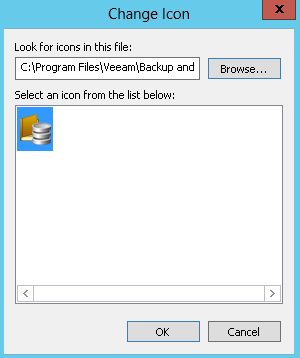 Change the icon and browse to the explorer path. 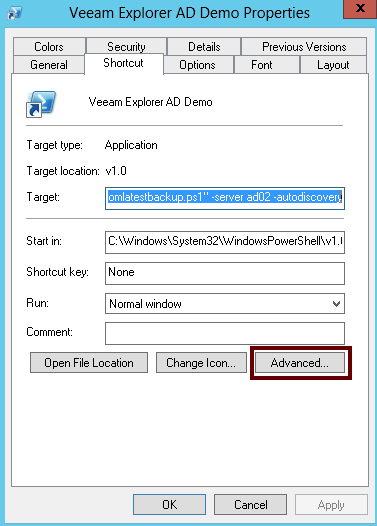 By default it is under "C:\Program Files\Veeam\Backup and Replication\ActiveDirectoryExplorer\Veeam.ActiveDirectory.Explorer.exe"
Now you should be up and running. Just click your shiny new shortcut. 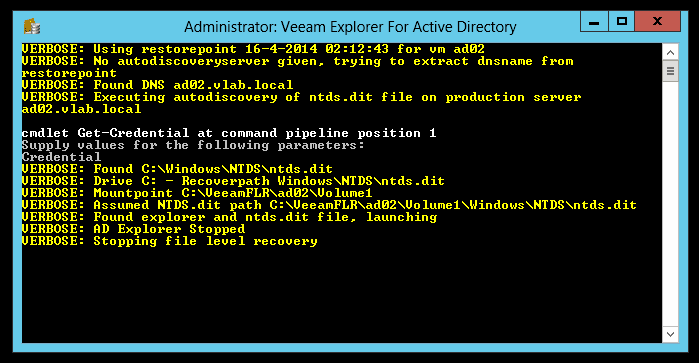 It should launch the wizard and automatically load the ntds.dit file after a FLR into the VEAD.